While talking with friends about winter, kids and colds recently, I made the mistake of mentioning that we seemed to have gotten past all of the germs that were floating around and everyone was finally healthy. I should have known that I would be tempting fate with a remark like that and, sure enough, Big Sister E has once again started sniffling, sneezing and altogether is beginning to look miserable. Darn you, microorganisms! As well as piling on the vitamins, encouraging her to get her rest, and doling out extra hugs, another cold around here also means I start getting antsy to sanitize every possible surface in hopes of not spreading anything around. One product that I reach for just for that reason? 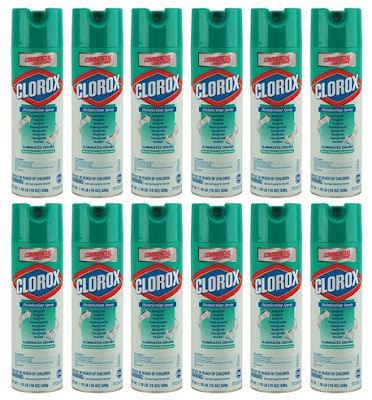 The powerful cleaning that comes from Clorox Disinfecting Spray. 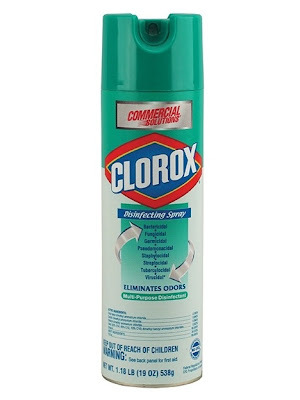 Stored in a convenient aerosol can, Clorox Spray is designed to be used for any number of cleaning jobs, from cleansing kitchen counters to wiping down bathroom sinks. Easy to use and apply (simply spray it on and wipe it off), Clorox Disinfectant Spray doesn't just mask odors — it eliminates odor-causing bacteria, leaving only a clean, fresh scent. In addition to its cleaning and disinfecting power, the spray's innovative bleach-free formula also kills and prevents the growth of mold and rids your home of a wide range of germs. So you're left with not only a clean surface, but a product that helps prevent the spread of many common and dangerous illnesses. And, considering these are sold by CleanItSupply.com, that means that you not only get one bottle to use, but their awesome bulk shipping means your case contains a full 12. Oh, yes. You're in for it now, germs. As soon as I saw these bottles and the large number of viruses that they were designed to kill, I was excited to put them to use. But then I turned the disinfectant spray around and found that the list of bacteria that it would power through was much, much longer. Even though I can't pronounce a large portion of them, that doesn't stop me from wanting them off of my surfaces, out of my home, and away from my kids! 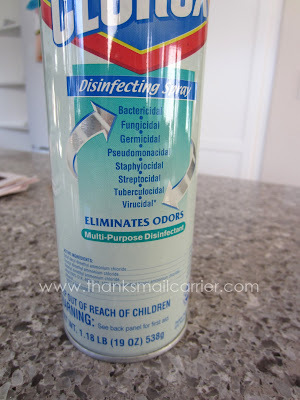 Using Clorox Disinfecting Spray and knowing that it is proven to eliminate the germs that cause tuberculosis and MRSA as well as eradicating dangerous germs found in foods, such as E. coli, has been making me happy. 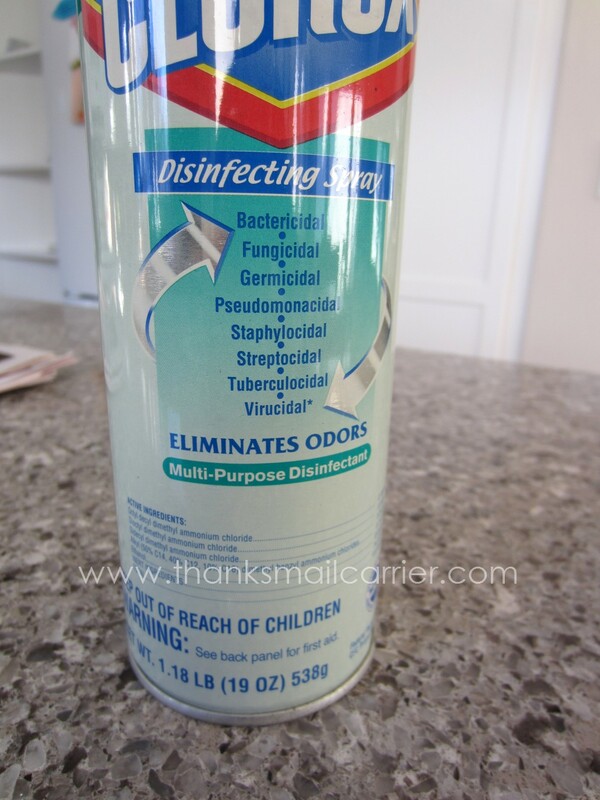 In all, this spray can be used effectively to control both bacteria and viruses as well as those that cause smells. Therefore the bonus to the clean surfaces is that the space smells refreshed and deodorized also! If you've read any of my past posts on CleanItSupply.com, then you know that I'm going to say that purchasing their commercial cleaning products for your home just makes sense. The affordable prices mean that while you're saving money buying in bulk, you also no longer have to worry about running out and continually having to head to the store. 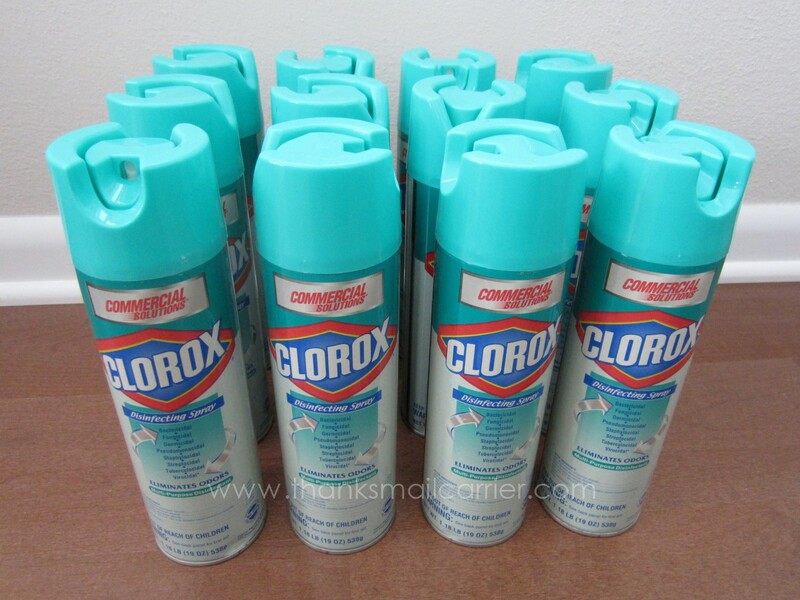 I know my house is going to stay disinfected with this case from Clorox for quite some time to come! 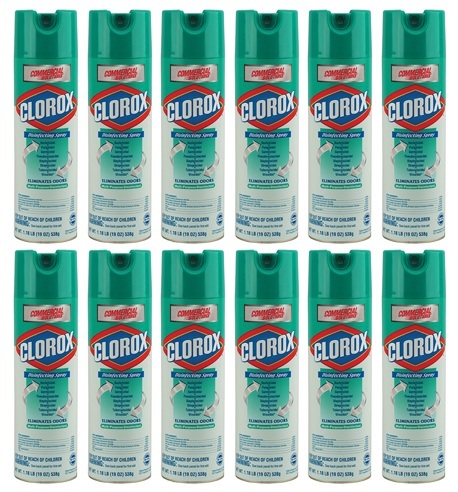 Elsewhere on the internet it would cost over $76 to purchase 12 bottles of Clorox Disinfecting Spray, but CleanItSupply.com offers them for $47.29. Simply make this one purchase and their lightening fast shipping will have a case at your door and ready to rid your home of germs, bacteria, and all sorts of viruses that you want to stay away from your family. To enter to win: Visit CleanItSupply.com and leave me a comment about an item there that would help keep your house clean. 1 Extra Entry (per method) if you follow CleanItSupply.com on Twitter, Like them on Facebook and/or sign up for CleanItSupply's Super Saving Program. Giveaway will end on February 10th at 11:59pm CST. By entering this sweepstakes, you are agreeing to these official rules. No purchase necessary, void where prohibited by law. Do me the favor of leaving an email address or making absolutely sure it is visible in your profile, I have to have a way to contact the winner. The winner will be chosen by random.org and announced here as well as emailed and will have 48 hours to contact me or respond to notification or a new winner will be chosen. The number of eligible entries received determines the odds of winning. This giveaway is open to continental U.S. residents only and must be 18 years of age or older. A big thank you to CleanItSupply.com for providing a case of Clorox Disinfecting Spray for me as well as for two lucky giveaway winners. The opinions shared are my own and honest and if you really need to see more, click here to see how I roll. 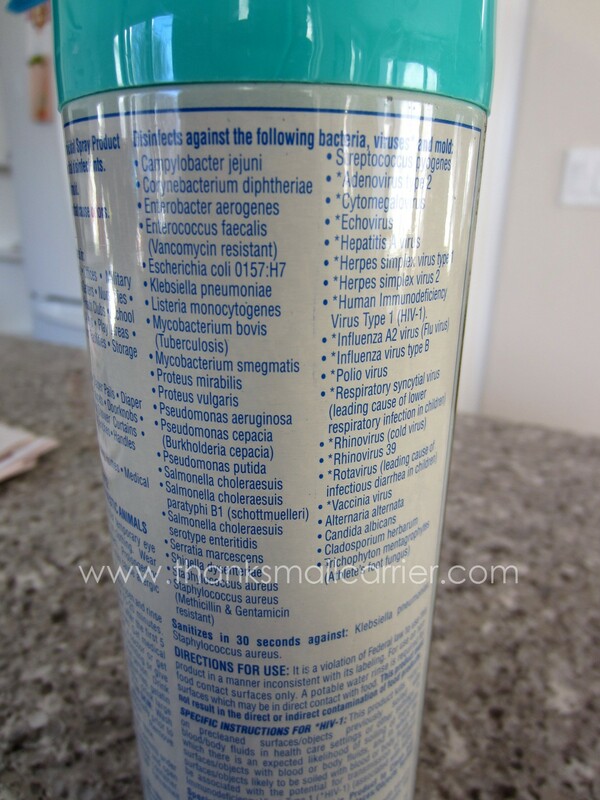 The clorox healthy touch soap dispenser is what would majorly cut down on germs at my house. With 6 Children, 12 and under, that soap dispenser on the bathroom sink is the one thing that ALL those little dirty hands touch before they get clean. With this one they won't have to touch anything!!! I am now a facebook fan as well, AND subscribed to your newsletter. Thanks!! I would use the swiffer refills! We go through them like water. We have no carpet in our home - only wood or tile and man does it get dusty. They work so good! 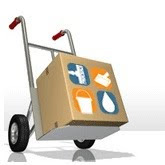 I am following clean it supply on twitter as kmurble. I'd like to get a Sanitaire SC882 Contractor Series Vacuum Cleaner w/ EZ Kleen Dirt Cup (EUR882). The green works bathroom cleaner- looks awesome! Elements Prespray and Extraction Carpet Cleaner would help me keep the house clean, especially with the dog constantly track the outside in. I like Cleanit Supply on facebook as Patricia Wojnar Crowley! I signed up for CleanItSupply's Super Saving Program! I follow you on twitter as @tcrowley122 and tweeted! I subscribe to the RSS on my Google Reader! I like Thanks Mail Carrier on facebook as Patricia Wojnar Crowley!! Pine-Sol Scented All-Purpose Cleaner, Lavender Clean!! Clorox wipes are a must have in my home! A 1000 ct. case of 13-15 gal. clear Trash Bags, 24x31, 8 mic, would make my home cleaner. I entered the Lugz Brigade Fold Mens Boots g/a. The Mr. Clean Antibacterial All-Purpose Cleaner would help keep my house clean. I need the Libman Big power Mop. I like CleanItSupply.com on Facebook. Pine-Sol Scented All-Purpose Cleaner would be very helpful! i sure could use a Sanitarie contractor series vaccum cleaner at my house . Glad Forceflex Odorshield Kitchen Trash Bags, 204 Bags- love these bags. I don't have to worry about them tearing! I could use the bounty basic paper towel 12 pack set. The Bounty paper towels. They are very useful in my kitchen. Simple Green Stone Cleaner (SHR-SMP18401) would really help me out. 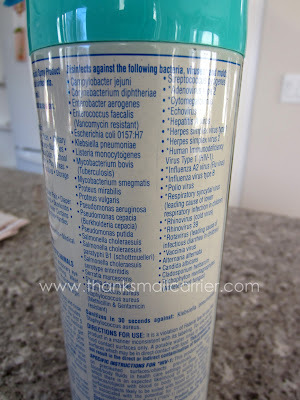 The Clorox Green Works Bathroom Cleaner would help keep my house clean. Thanks. I entered the Pine-Sol giveaway.